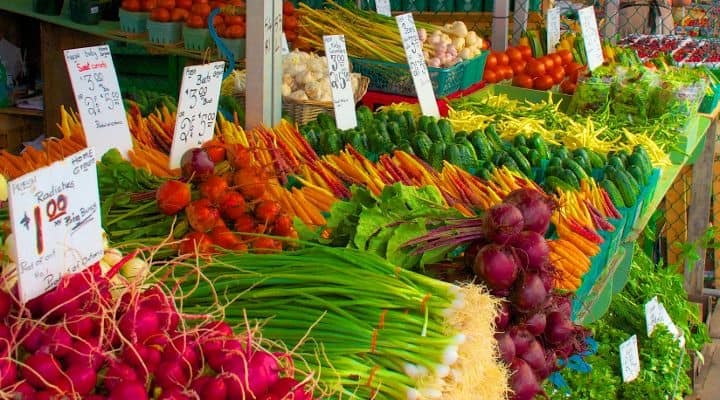 Despite the different reasons for choosing the Paleo diet, one universal observation is that the prices of high quality organic produce, grass fed, pastured meats and wild caught fish can add up quickly. There are a number of smart strategies for looking at ways to make your dollar go further on the Paleo diet and to create cheap paleo meals, such as using less mainstream cuts of meat or purchasing foods in bulk. But there is another consideration when eating paleo on a budget that will help you to stretch your grocery dollar that you may not have considered. Although the majority of Paleo ingredients are quite healthy, some are both filling and cheap while others are quite the opposite. If you are looking to do the paleo diet on a budget, one great strategy is to learn which ingredients will help you stretch your dollar the furthest. For example, do you know that you need to eat approximately $22 worth of organic mushrooms to provide the same amount of energy and fill you up to the same degree as $1 worth of organic bananas? Or did you know that cutting back on bell peppers and using additional onions as a base for a stir fry or stew can significantly cut down on your grocery bills? By crunching the numbers on some nationwide average food prices for organic produce, as well as some common Paleo staples and comparing against the calorie and nutrient density of each, we came up a value metric that can be used to determine which paleo staples are the best for stretching your grocery dollar and achieving inexpensive paleo meals. When you think of filling meals carrots may not be the first thing you think of. But due to their low average price, less than 75 cents per pound on average even for organic, and relatively high calorie density, carrots are a very cost effective Paleo ingredient. 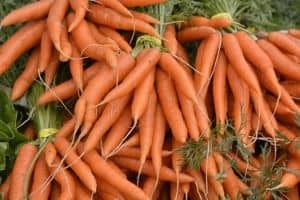 With the highest ANDI per dollar score of any of the ingredients we reviewed, carrots are clearly a best buy in terms of value per dollar and nutrients per dollar. Making organic carrots a staple of your diet will improve your health and your bottom line. So go ahead and make some big batches of hearty carrot soup or stock up for carrot chips or baked carrot fries. A staple of many Paleo meals, the sweet potato is at the top of our list of high calorie, low cost produce (skip over this one if you are on the SCD or GAPS diets). A sample of average national prices show sweet potatoes as slightly over a dollar per pound, with over 400 calories. 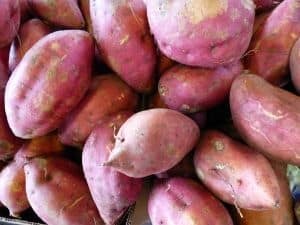 With a relatively high ANDI score, sweet potatoes are a standout way to maximize nutrients per dollar and craft your paleo diet on a budget eating plan. So go ahead a drop a sweet potato into the microwave, it’s one of the great cheap paleo snacks. 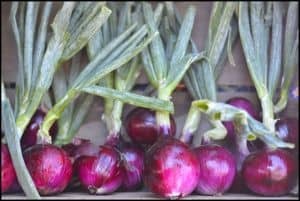 One somewhat surprising find is the great value of organic onions – yes onions. Seen by most people as a compliment or base to a dish, onions turn out to both a relatively filling and low cost option. Most people either love or hate onions with a passion, but here are some reasons to love them: onions tend to be quite cheap relative to how filling they are. They also have a high nutritional value for their weight. Part of the reason for their reasonable price is that they are available in bulk in most grocery stores, even organic in many cases. Many recipes call for onions, often as a base as a first step. This gives you the option of tweaking recipes to see if you can increase the portion of onions in the dish. In some cases, this might even improve the flavor – think fish, steak or eggs topped with caramelized onions….I have to say I love caramelized onions. The more onions you include, the better the value of the recipe becomes – and nutritious. Oils pack in a lot of calories for your dollar. 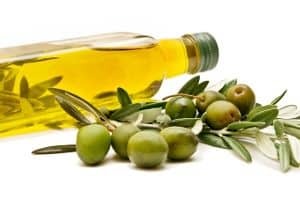 With organic olive oil being a staple at most grocery stores these days it is one of the best Paleo deals around, even compared to many other paleo oils. For example in salads, drizzling some extra olive oil is one way to make your cheap paleo dinners both more filling and your dollar go further. That said, the nutrient density based on the ANDI store for olive oil is not as high as some other options so only pour on the olive oil in bulk if you are looking for a way to make paleo meals more filling, but not as a primary source of vitamins, minerals or nutrients. Although full of minerals and protein, mushrooms are a low calorie ingredient. 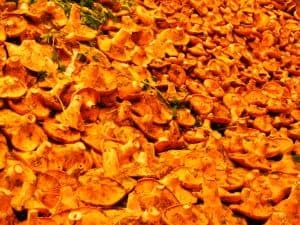 When combined with their relatively high price, this makes eating mushrooms a better choice to eat in smaller quantities if trying to cut down on grocery bills. Although cooking in olive oil or ghee helps increase the calories of a mushroom dish, the mushrooms themselves are not providing you with many of the calories. So mushrooms are better as occasional food when the goal is a cheap paleo diet. Considered a “superfood” by many, blueberries contain lots of antioxidants and nutrients. 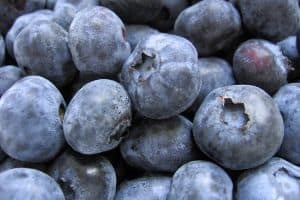 But if you are hoping to cut down on your grocery bills, blueberries are better left as a compliment to a dish, such as blueberry almond flour pancakes, than as the main ingredient. Along with most other berries, blueberries are a relatively low calorie food and have a relatively high price tag. This makes them more of a splurge than an everyday ingredient. Better to leave them as a occasional or complimentary food when putting together paleo meals on a budget. We put together data on average prices for a handful of popular Paleo ingredients and compared both the average cost as well as how calorie dense the foods are. The result is a “calories per dollar” figure that can be used to compare how filling and expensive meals made these as the primary ingredients will be. For example how expensive/filling onion soup is compared to broccoli soup. In terms of saving money, in some cases buying frozen produce can lead to significant cost savings. As one example, using a sample of frozen food prices we found that buying frozen organic spinach is about a third of the price of buying the fresh baby organic spinach found in many grocery stores. In the case of Organic Spinach, choosing frozen chopped spinach over typical fresh alternatives can cut costs by 2/3. Frozen spinach wouldn’t be a good option for salads for example, but in recipes such as Paleo Spinach Lasagna or other recipes with cooked spinach as an ingredient, there can be a significant cost savings by substituting with frozen organic spinach. In fact, frozen spinach was one of our highest value foods in terms of nutrition per dollar when factoring the low price of frozen versus fresh. Although we didn’t analyze many organic frozen vegetables, they are something to consider if you are looking to make the paleo cheap. That said, there are examples of ingredients that are no cheaper frozen than fresh, such as carrots in most cases, so be sure to compare the prices where you shop locally to make the final decision about whether buying that ingredient frozen will save you money. By taking into account the relative nutrition and calories of different paleo foods, you can start to see which items will save you the most money in your paleo budget. This does not mean that I recommend you never buy mushrooms again. In fact I love mushrooms and couldn’t imagine cutting them out entirely. Instead, I would recommend taking a look at the highest value ingredients and see if there is a way to incorporate more of them into your diet. One easy way to keep costs down is to look for recipes where these best buy ingredients are a significant percentage when planning out your lunches or meals for the week. If you are going to make a big batch of soup to eat for lunch each day for example, maybe choose a soup that is based on carrots, cabbage or sweet potatoes as a primary ingredient. The more you are able to slip these ingredients into your weekly paleo diet shopping list, the more you should see your grocery costs come down – hopefully leaving you with the money left over to splurge on that pint of blueberries you might be really craving for desert. If you are having trouble finding Paleo friendly ingredients and recipes, these days you can get Paleo and organic ingredients delivered to you, either by itself or as part of Paleo meal kits with recipes. If you live in a rural area where grass fed proteins, wild fish and organic ingredients are hard to come by you might find these services helpful.